This essential resource enables you to negotiate, draft, and fine-tune LLC operating agreements for all basic types of LLCs—in every U.S. jurisdiction! It delivers exclusive guidance on all 10 stages of the LLC formation process, and comes with a CD-ROM packed full of valuable material, including complete agreements, forms, and clauses all ready for immediate use. 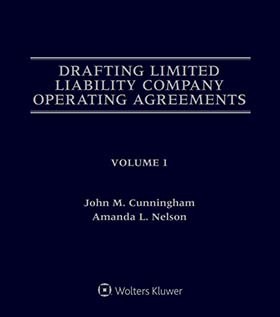 Newly expanded to two volumes, the Fourth Edition of Drafting Limited Liability Company Operating Agreements is the only limited liability company formbook and practice manual that addresses the entire process of planning, negotiating and drafting LLC operating agreements, and handling LLC formations. Plus! Every clause, form, and complete agreement is on CD-ROM—to speed the formation process and help save you time. To assist in your LLC formation practice, you’ll also find a comprehensive survey of the rapidly expanding body of federal and state LLC case law—complete with clear summaries of the cases and indexes by both state and subject matter. Newly updated and expanded, Drafting Limited Liability Company Operating Agreements, Fourth Edition, delivers all the forms, agreements and expert guidance every LLC practitioner should have on hand. 6.08 When Should Creditors Foreclose on the LLC Interests of Member-Debtors-in-Default? 12.02 When Does an Attorney-Client Relationship Exist in an LL Formation? 16.05 When Should Articles of Organization Be Filed? 19.02 Should Your Client’s LLC Be a Single-Member LLC or a Two-Member LLC? 19.03 What Is the Best LLC Act for Your Client’s Single-Member LLC? 19.04 Who Should Be the Member of Your Client’s Single-Member LLC? 19.05 Should Your Client Form One Entity or Two? 19.06 On Non-Tax Grounds, Should Your Client’s Business Be a Sole Proprietorship, a Single Shareholder Corporation, or a Single-Member LLC? 19.07 What Is the Best Management Structure for a Single-Member LLC Whose Member Is an Individual? 19.08 For Federal Income Tax Purposes, What Is the Best Federal Income Tax Regimen for a Single-Member LLC Whose Member Is an Individual? 19.09 For Social Security Tax Purposes, What Is the Best Federal Income Tax Regimen for a Single-Member LLC Whose Member Is an Individual? 19.10 Why Do Single-Member LLCs Whose Members Are Individuals Need Written Operating Agreements? 20.02 What Is the Best LLC Act Under Which to Form a Single-Member LLC for a Client That Is an Entity? 20.03 Should Your Client’s Subsidiary Be Formed as a Division, a Single-Shareholder Corporation or a Single-Member LLC? 20.04 What Is the Best Management Structure for a Single-Member LLC Whose Member Is an Entity? 20.05 For Federal Income Tax Purposes, What Is the Best Federal Income Tax Regimen for a Single-Member LLC Whose Member Is an Entity? 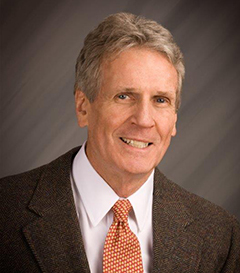 20.06 Do Single-Member LLCs Whose Members Are Entities Need Written Operating Agreements? 22.01 What Does It Mean to “Understand” an LLC Act for LLC Formation Purposes? 24.03 What Knowledge, Know-How, and Practice Tools Do You Need in Order to Draft Multi-Member LLC Operating Agreements Expertly? 31.02 What Should We Teach Our LLC Formation Clients? 33.02 When Is an LLC Membership Interest a Security? 38.02 What Economic and Federal Tax Provisions Should be Included in the Operating Agreements of Multi-Member LLCs Taxable as Straight-Up Partnerships? 42.07 To What Extent Can Tax Advisers and Their Clients Rely on the Prop. Reg. in Structuring LLCs to Avoid SET? 47.03 Are the LLC Series Established Under § 18-215 Entities? 47.06 From a Non-Tax Viewpoint, When Should LLC Series Be Used for the Conduct of a Business or Investment Arrangement; and When Should They Not Be Used? 49.01 Introduction; Hypothetical Facts Concerning XYZ, Inc.; Overview of Restructuring Procedures Likely to Be Useful to XYZ, Inc.
50.06 To What Extent Can Corporations Other Than XYZ Rely on Rulings PLR 200528021 and 200548021? 53.04 What Types of Provisions Are Absolutely Necessary in the Operating Agreements of Multi-Member LLCs? 55.05 Which Are the Main Types of Individuals and Entities That Are Likely to Benefit from Asset Protection Planning? 55.06 What Are the Main Types of Creditors from Which Asset Protection Planners Seek to Protect Their Clients? 55.07 What Are the Main Types of Individual Assets That Asset Protection Planning Seeks to Protect? 55.08 What Are the Main Types of Business Assets That Asset Protection Planning Seeks to Protect? 55.09 What Are the Main Techniques Available to Asset Protection Planners to Protect Their Clients’ Assets? 58.01 What Is LLC Practice? 58.02 Which Are the Main Types of Persons Whose Assets LLC Asset Protection Lawyers Typically Seek to Protect? 58.03 Which Are the Main Types of Creditors from Whom LLC Lawyers Must Provide Their LLC Formation Clients with Asset Protection? 58.04 What Are the Main Types of LLC Asset Protection Tasks That LLC Lawyers Should Be Competent to Handle for Their Clients? 59.01 What Does it Mean to “Know” an LLC Act for LLC Formation Purposes?